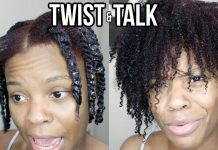 ABOUT THE STYLIST: In 2007, JAMIA uploaded the first “Flexi-Rod Set” video for Natural Hair and a complete series of Natural Hair Roller Setting Videos on YouTube(TM). She has helped 1000″s of stylists and countless women via her hairstyling videos, hair shows and workshops to improve their hair growth and retention by promoting hairstyling with an emphasis on the hair’s health as well as it’s beauty. 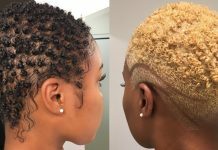 Using 100% all-natural hair care products and her innovative styling techniques, many have learned how to improve their hair care and styling abilities in the salon and at home. She has encouraged many who have experienced chemical related hair loss and scalp conditions to “grow” natural. With her array of traditional as well as non-traditional natural hair styling and setting techniques she has helped many to see that they can achieve a beautiful polished look with their own healthy natural hair, using 100% pure and natural ingredients. Please enjoy her “Natural Hair Care & Styling” for ALL HAIR TEXTURES! Be sure to read her BLOG to get additional hair care & styling help and encouragement. Stay tuned, new videos will be added regularly. If you have questions about how to create styles or use natural products text your question to Jamia, 202-437-0457.
http://www.naturaloasisproducts.com/naturaloasisediblehairandskincareproducts/ Natural Hair No Heat Curls & Waves Flexi Perm Rod Set Tutorial. Hair by Jamia. 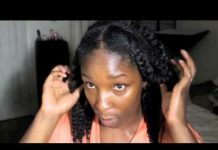 Next article15 UNIQUE Natural Hair Hacks Every Girl Should Know!